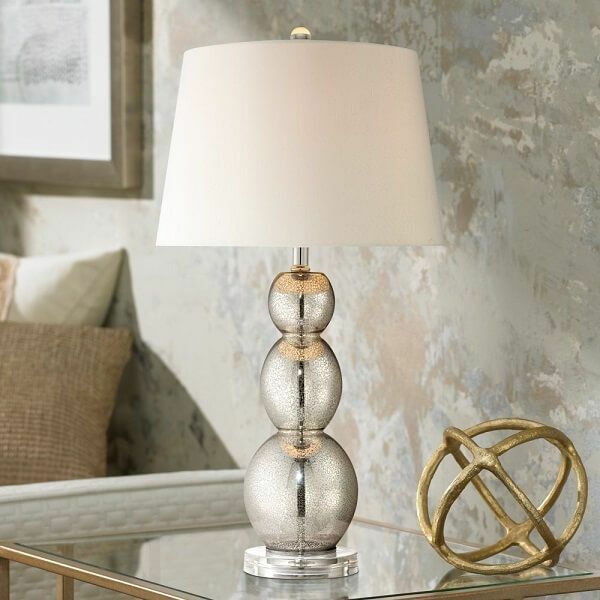 Give your space plenty of class and style without overdoing it when you include this Transitional Mercury Glass Table Lamp into your space. The gorgeous lamp features a pear-shaped base with a slightly squared-off shade that complements the color and shape of the base beautifully. If you like the old-school appearance, this Emma table lamp is one worth considering. The base and lamp stand are constructed from mercury glass, which not only looks great, but it also gives in an antique appearance. 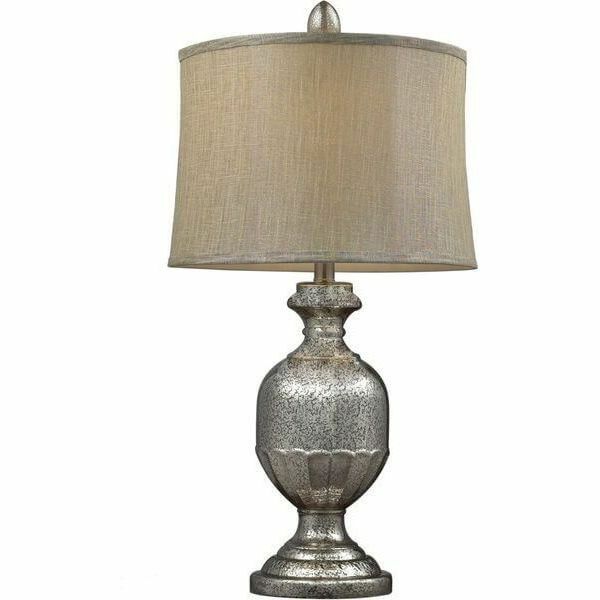 The lamp shade is a metallic grey linen color, which does an excellent job of complimenting its stand. A high level of detailing is also used on both the stand and the shade, which give this a very exquisite appearance. This would look great beside your bed or in your living room. The lamp operates with a 100-watt bulb. If you like the antique look, but the Emma table lamp was not quite what you were looking for, this lamp would be a great alternative. It features a highly-polished silver stand and base. 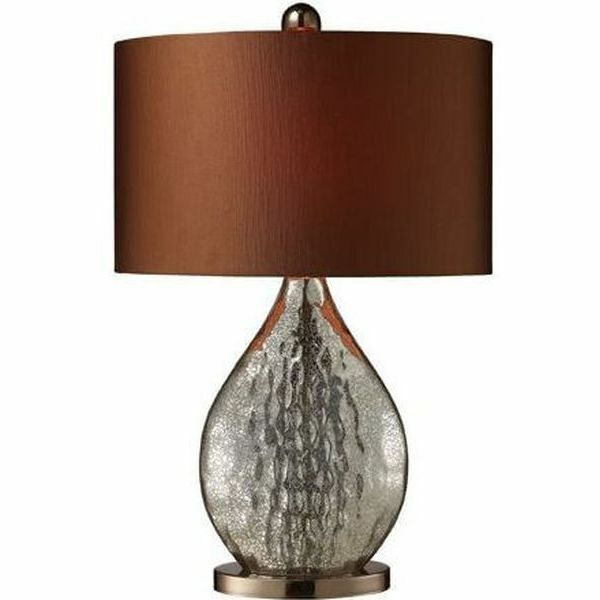 The shade is constructed from faux silk, which is copper in color, and it definitely accomplishes its task of adding to the already stunning appearance of this lamp. The lamp uses a 100-watt bulb, and it can be turned on or off via the line switch, which makes it extremely convenient. The shade features 15 inches of width, and it stands 9 inches tall. With the holidays coming up, now would be a great time to add a festive lamp in your living room, but, of course, this lamp would also look great evening after the holidays have ended. The stand features three, globe-shapes, which form somewhat of a tiered look. The stand is constructed from mercury glass. You will be able to choose from three different brightness levels with this lamp, which are low, medium and high. With that being said, you still only need one 15-watt light bulb, so there is no need to buy three-way bulbs ever again. If you are looking to combine the practicality that a tabletop lamp has to offer with a sophisticated appearance, perhaps you should consider this lamp. 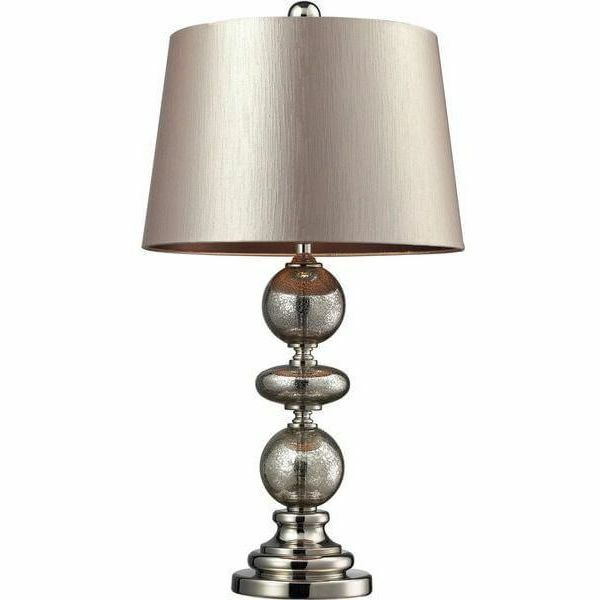 A polished-nickel finish is incorporated into the stand of this lamp, and it has somewhat of a tiered design similar to what the gourd table lamp has to offer. 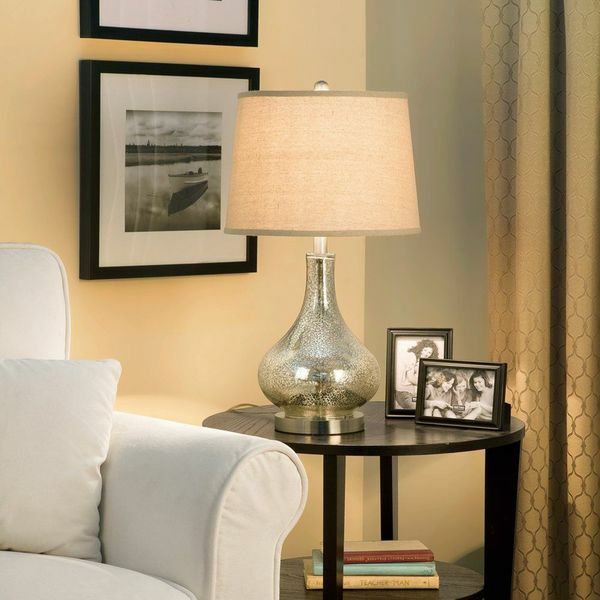 The shade itself is constructed from faux silk, which is a champagne color, and it looks great. The lamp operates with a 150-watt, 3-way light bulb, and it can be very bright to help you read those fine details that can lead to a headache. 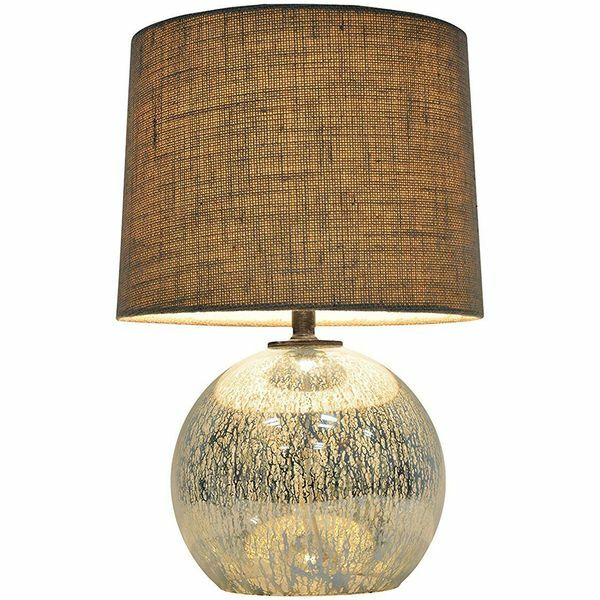 With the woven textures of the lampshade and the unique veiny look of the base, the Threshold Globe Mercury Glass Table Lamp adds plenty of character to any room in the house. The lamp measures 19.75 inches in height by 13 inches in with by 13 inches in depth.